Why choose a video product? 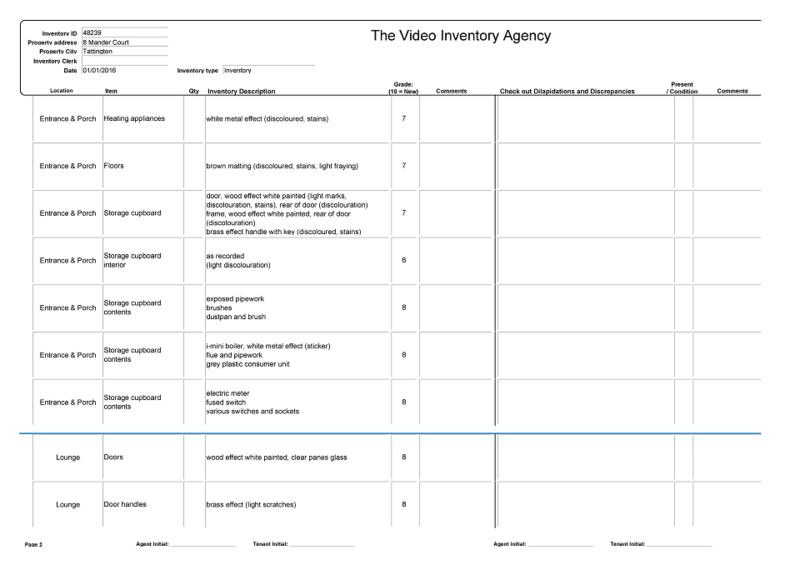 Everyone loves video and we believe this format should be your first choice when selecting a property inventory or assessment service! When renting out your property we appreciate you have a choice when selecting a provider and that you can choose a number of different written formats. So why limit yourself to one? 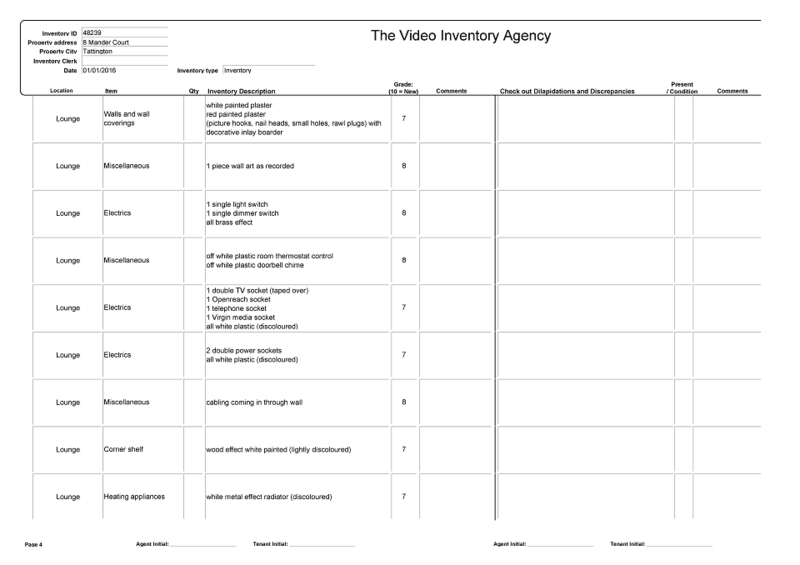 when you can have a comprehensive inventory or assessment report supported by high definition video. 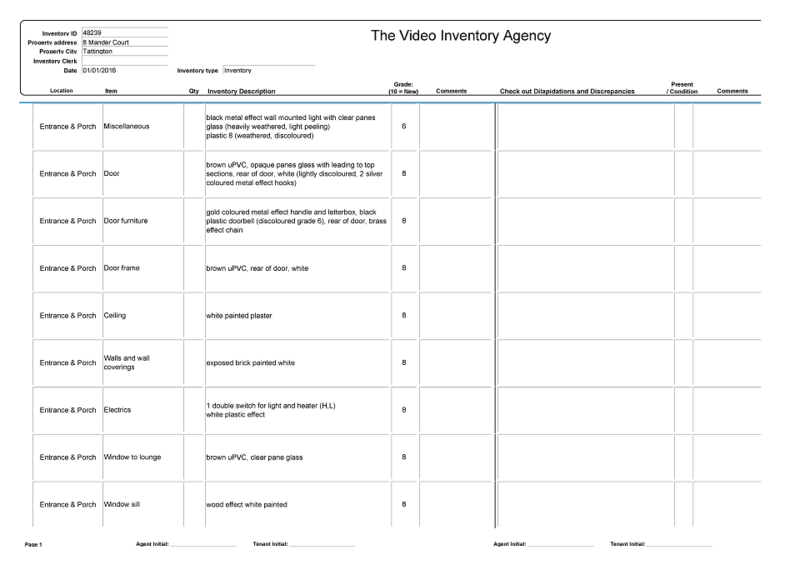 Our inventories and schedule of condition reports, and our risk assessment services, are supported by detailed video documentary evidence. We have developed a highly efficient production process and can now offer them at a similar price that many of our competitors charge for their standard written inventories. Written inventories alone are often, quite literally, not worth the paper they are written on. They are either too brief with no schedule of condition or are too long and ambiguous to be of any use as evidence. Photographs are obviously an improvement but it is impossible to foresee what may be damaged at the end of a tenancy. Without a video record of the items in question and the surrounding area, all a tenant has to do is simply claim “it was like that when I moved in” and you will inevitable lose out in a dispute. 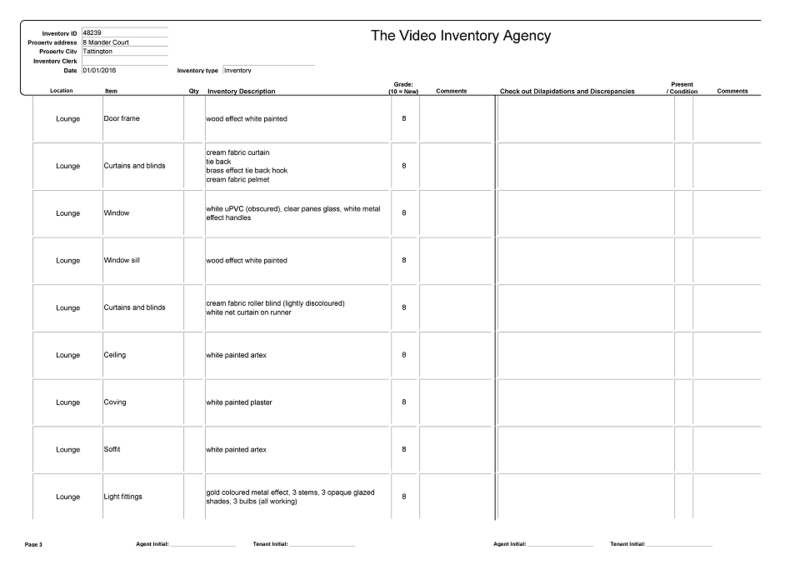 Video based inventory products are recognised as the most accurate way of conducting a property inventory. They are the preferred format of the organisations that operate the Tenancy Deposit Schemes. We use similar procedures as the police to provide you with all the necessary evidence in the event of a dispute. A typical thirty minute video inventory will provide the equivalent of around 37,000 digital photographs and will also show your assets in context which gives an adjudicator a true impression of the overall condition before and after the tenancy. Legionella risk assessments are a requirement for rented residential properties under UK law, and guidance suggests they should be reviewed every two years. You are also required to do this sooner should there be a material change to the overall system. A change of tenant is classed as a material change but should be easily accommodated by an ‘updated’ report. Our standard risk assessment provides a detailed report with supporting high definition video evidence of the condition of the domestic water system in your rental property. The combination of the report and video footage will help you comply with UK law and provide evidence that you have carried out your obligations.